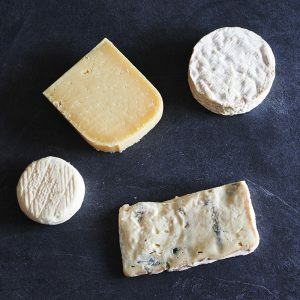 These are the best selling cheeses for a reason – they’re really, really good. Powerful, pungent British Camembert, buttery rich Lancashire, strong powerful Cheddar and Young Buck Blue – rich, creamy and gently powerful. Tunworth. Pasteurised cows’ milk. 250g. An English Camembert good enough to make a Frenchman weep: vegetal, porcini-flavoured and intense. 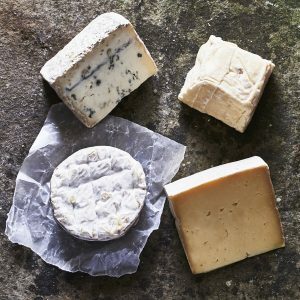 The Courtyard Dairy select only particular Tunworths that are extra-wrinkled, for a more intense flavour. Kirkham’s Lancashire. Unpasteurised cows’ cheese. 250g. Third-generation Lancashire-maker Graham still follows the traditional two-day curd method, giving a buttery, yoghurty flavour with a fluffy and light texture that melts in the mouth. 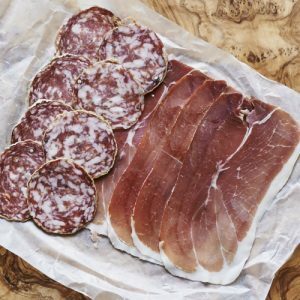 These Kirkham’s are specially selected for The Courtyard Dairy for a greater depth of flavour. 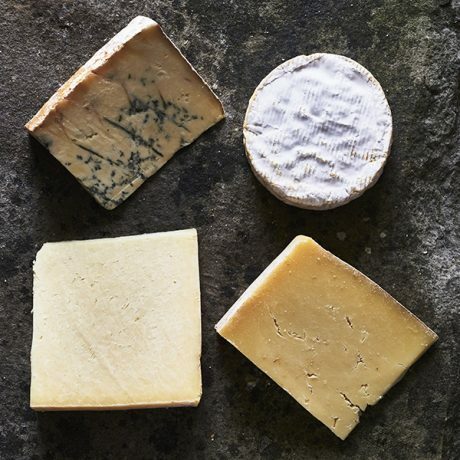 Jane Stewart makes cheese using rich, unpasteurised milk from her husband’s cattle. This Cheddar is classically Scottish in style: aged for 14 months, it is powerful, strong and tangy – a real sharp traditional Cheddar.